And you have that White Stripe surrounded by the lightblue in the horizon picture. Thanks for finding the name! Awesome. 🙂 It was at LACMA in Los Angeles. hmm, hmm, hmm … I think I have to correct that. Is it really an original Rothko you’ve photograped ?! Anyways. It’s a nice one! Maybe a White Center Version from the Reproduction-Gallery Website ?! Yeah it was a photo I took. It was that taller shape. You should come to Munich and visit Lenbachhaus, HypoKunsthalle or Haus der Kunst (Postwar Exihibiton). Shouldn’t the fact that there’s this much confusion between two different paintings be a bit of a sign pointing to a lazy repetitive painter? I never could handle this abstract simplicity sort of stuff. I file this guy right under Duchamp, and that guy makes me angry just thinking about him, lol. There is a special exhibit on Rothko at the St Louis Art Museum right now. 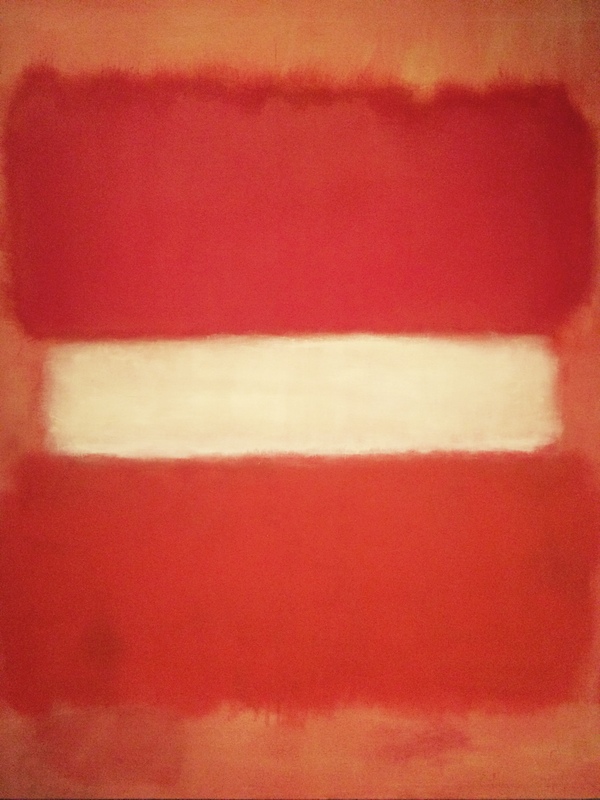 One of my favorite Rothko’s for the calm in the midst of rage and passion. I love Rothko. Ever been to the Rothko Chapel in Houston, TX? Is this a cheesecake with tomatoesauce?